The late Paul Quarrington lived large. He had many passions encompassing writing, music, sports, partying, cigars and fly fishing. He wrote hilarious accounts of his piscatorial exploits in two wonderful memoirs — Fishing with My Old Guy and From the Far Side of the River, both published by Greystone. 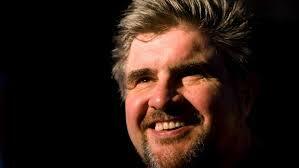 He also wrote my favourite hockey novel, King Leary. I wrote a review of Quarrington’s From the Far Side of the River when it was published in 2003. I had just returned to fishing after an absence of more than three decades. It was a couple of years before I would touch a fly rod. It was also before the acclaimed Toronto-based artistic Renaissance man announced publicly that he was dying from a particularly ferocious form of cancer and that he had only a few months to live. I met Quarrington some time after From the Far Side of the River was released, when he visited Waterloo to perform with his alt-country, bluesy rock band The Pork Belly Futures. It was an accomplished band built on a book of unapologetically literary songs penned by Quarrington. After the show I complimented him on his books and he complimented me on my shirt — a yellow Columbia Sportswear short-sleeve with blue marlin. When I reviewed From the Far Side of the River I had just returned from a fishing trip in the Kawarthas with some pals I had met at Trent University in the early 1970s. I hadn’t seen most of them in more than a decade, yet as important as it was to restore lasting friendships, I was surprised by how much I missed fishing. The 19th-century English essayist William Hazlitt believed the associations we make with nature originate and are nurtured in childhood. When I was young, nature was so important to me that I dreamed of becoming a forest ranger or conservation officer. I camped, I fished and later I hunted — and I loved all three activities. Priorities changed at university. Although most of my closest friends fished and hunted, I foolishly thought it was time to retire the pastimes of youth. Nevertheless, I remained an ardent armchair angler, casting into the streams, rivers and lakes of fly fishing literature of all kinds. Many of the writers I most admire either were or are fly anglers; from Papa Hemingway through W.O. Mitchell to Jim Harrison. Norman Maclean’s A River Runs Through It and David Adams Richards’ Lines on the Water are eloquent hymns in praise of fly fishing. Roderick Haig-Brown’s writing about fishing transcends the genre of angling literature. Some of Thomas McGuane’s best writing is contained in his books about sport and fishing, Outside Chance and The Longest Silence. 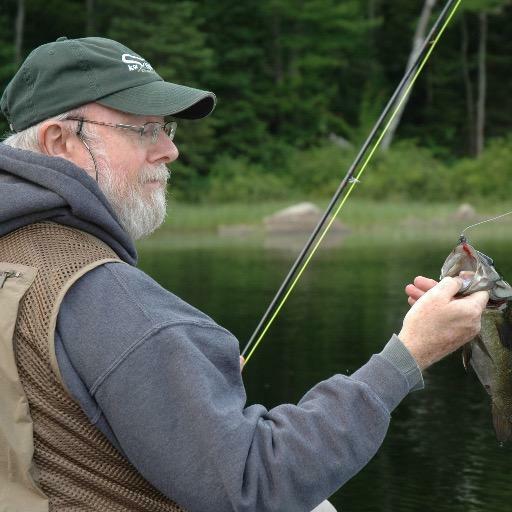 Rick Bass casts a line from fishing through moral living to spirituality. The fishing trip with my university pals reignited my passion for the recreational sport. So when I got home I eagerly dipped into From the Far Side of the River and got reacquainted with an angling soulmate, even though I had yet to cast fur and feather. I had greatly enjoyed Quarrington’s earlier memoir Fishing with My Old Guy, an account published in 1995 of his friendship with Gord Deval, an international casting champion, rod-builder and fly tier who has forgotten more about fly fishing than most anglers ever learn. My signed copy is one of my most prized literary possessions. Quarrington contributed ‘an Intelligent Commentary’ to Deval’s memoir Fishing for Brookies, Browns & Bows, published by Greystone in 2001. The small, sad gods stood along the Bow River, in downtown Calgary, when Quarrington sought solace from an uncomprehending world on 11 September 2001 — a year in which his father died and his marriage dissolved against a backdrop of terrorism in the skies. It would diminish the power of this intellectually engaging and emotionally resonant chapter Fishing Through Disaster to quote anything less than its entirety. Suffice to say, it’s reason enough to read From the Far Side of the River. From what I have said so far, a reader might get the impression that the memoir is heavy slogging. On the contrary. In contrast to many contemporary angling writers, Quarrington doesn’t spend much time on nature, ecology or conservation. Although he writes movingly about moments of solitude and reflection, fishing for him is a social, communal pastime. He writes about his Old Guy; his fishing buddy/author Jake MacDonald, otherwise known as Muskie Man; a fishing guide who moonlights as a mall Santa Claus; another guide nicknamed Bonefish Dundee (after Crocodile Dundee); and Wray McQuay, a conservation officer who is tough because he loves nature so much. Of course, it wouldn’t be a Quarrington book without healthy doses of humour, as when he’s caught poaching — really closer to trespassing — or impersonates a freelance photographer to gain entry into a lavish fishing lodge which is really a cover for an international drug operation. He delights in the role of fishing bumbler; however, I suspect he’s more competent than literary license dictates. As a Father’s Day gift a couple of weeks after reuniting with my university pals, I received a new spinning reel and rod, my first since my teens. My sons, Dylan and Robin, purchased the present because I had talked so enthusiastically about my recent fishing trip. I took them to the Grand River for a Father’s Day afternoon of fishing. Although highway traffic was within earshot, myriad insects and birdsong presented a pastoral symphony. But more pleasing to my ear than the sounds of nature was Robin, who was seven at the time, sitting on a rock in the river, singing sweetly while casting into peaceful waters. When I asked how he was doing, he replied: ‘Dad, this is the life.’ Such a remark might seem a mundane platitude, but for a high-functioning autistic boy who wasn’t talking a great deal, it was sentiment from the heart. I’m sure Quarrington would concur. Now that I’ve been fly fishing for about nine years, literature of all forms and genres devoted to the pastime is even more significant. I’ve learned that the best angling literature isn’t about catching fish. It’s about life wearing the classical Mask of Melpomene (Tragedy) and Thalia (Comedy). Consequently I return to Fishing with My Old Guy and From the Far Side of the River with deeper delight.